We love to share our exhibitor feedback so that you can make an informed decision before booking a stand at our events. On this page you can watch promotional videos with footage from the spring shows and read a selection of our exhibitor testimonials. Venture Marketing Group has been successfully producing franchise exhibitions and speaker conferences for over 25 years. “The British Franchise Exhibition is an amazing opportunity to meet with potential franchisees. We spoke to visitors who already knew that we were here and were well prepared with questions about franchising with us. We have already seen a positive outcome of exhibiting at the event, with one visitor likely to become a franchise in the next couple of months”. “This has been our first event as an exhibitor and it will certainly not be the last! The event organisers generated a large amount of pre-booked appointments for Creams Café, which produced promising leads. We look forward to exploring possible future developments with them”. The Franchise Exhibitions simply put ‘just work’. 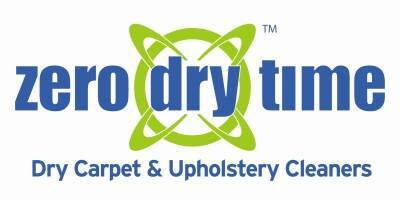 We’ve met high calibre prospects who have shown a genuine interest in learning about the Zero Dry Time brand as well as the franchise industry. We have had promising enquiries over the course of both days and already have people booked into our ‘Discovery Day’ in Newcastle. This would not have happened if we weren’t at The Franchise Exhibitions. The Venture Marketing Group team are nothing less than professional and enthusiastic. They are accommodating, friendly and ensure you feel part of the process every step of the way”. “The Franchise Exhibitions are great for meeting directly with potential franchisees. We have a number of people booked into our next ‘Discovery Morning’ as a result of attending the exhibition. The organisation of the exhibition during set-up and the event is excellent. The VMG team regularly check in at our stand to ensure we have everything that we need, nothing is too much trouble for them”. “These exhibitions are great for meeting with potential franchisees. I have seen a number of prospects that are very keen and would be a great fit for the Tutor Doctor brand”. “The quality of leads at the exhibition is very strong. A number of people came straight to our stand as they knew who we were from the event marketing campaign”. “The pre-exhibition marketing campaign has generated substantial interest in our franchise opportunity. 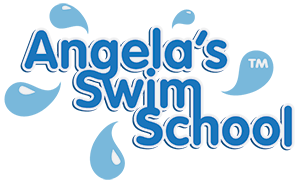 We have seen an increase in brand awareness and are excited about the potential new franchisees we’ve met here”. "Having exhibited at a number of Franchise Exhibitions, this was by far the best. Attendees were motivated, serious investors – we have already recruited a new franchisee, with many more interested! Looking forward to the next one already!"